A rendering of a PBS attraction. PBS has partnered with a design firm specializing in theme parks and immersive experiences to explore developing attractions based on the network’s brand. PBS and Falcon’s Creative Group, a design firm based in Orlando, Fla., announced Nov. 14 a partnership to create “location-based experiences” centered on PBS and PBS Kids. PBS and Falcon’s execs announced the deal live the same day at the annual conference of the International Association of Amusement Parks and Attractions, an Orlando-based trade association for the theme park business. “Extending our brand into the location-based entertainment space offers new possibilities for connecting with our audience through learning and exploration,” Dawn Ciccone, PBS VP of brand licensing, wrote in an email to Current. Falcon’s will search for developers to partner with to build the PBS attractions, which could include shopping malls, museums or other locations. Developers will fully pay for the projects, according to Ciccone, and PBS will contribute no funding. PBS and Falcon’s have yet to project costs or disclose any locations or opening dates. PBS will work with stations on opportunities around experiences as details and locations are determined, according to a PBS spokesperson. “These PBS experiences will be local creative hubs for new generations to grow and explore the curiosities of the world,” Cecil Magpuri, president and chief creative officer at Falcon’s, said in the release. Falcon’s past credits include the 3-D virtual exhibition “Tomb of Christ” for the National Geographic Museum in Washington, D.C; attractions for NASA at the Kennedy Space Center visitor’s complex in Space Coast, Fla.; and projects in Dubai and Shenyang, China. 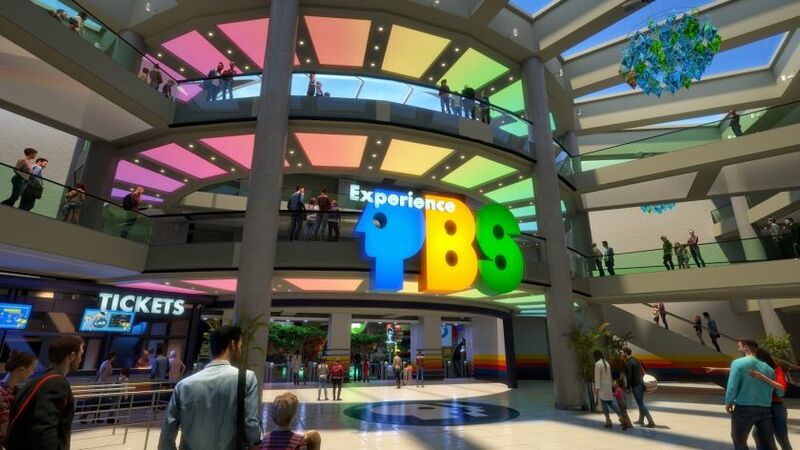 The release referred to the partnership as PBS’ “first foray into the realm of immersive experiences.” However, in 2002 the network struck a deal with the Mills Corporation, a mall real-estate company, to develop and place PBS Kids–branded pop-up centers in the company’s shopping malls. The move was criticized at the time by child psychologist Susan Linn in her 2004 book Consuming Kids: The Hostile Takeover of Childhood. “What PBS is ‘partnering in’ is an increased blurring of the distinction between commercial and public space,” she wrote. Meanwhile, Sesame Workshop has licensed its characters to SeaWorld Entertainment since 1980 for Sesame Place, a theme park near Philadelphia.